I'm not the biggest fan of power metal in general. Most of the time, for me, it comes across as trying too hard, cheesy, uninspired and just flat out blank. Bands such as Dragonforce, which sound so vapid as their impact on heavy metal reinforces this idea of the vapidness and commercial essence of power and old-school epic heavy metal. 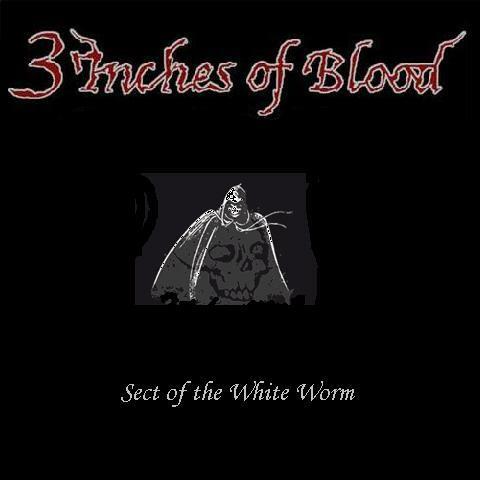 3 Inches of Blood has always been one of those bands which everyone talks about, but you never really bother to check them out. Unfortunately for me, based on the few releases that I've heard thus far from this band, I have to say that I've been missing out on a lot of pretty cool music. This extended play showcases the musicianship of the band at their earliest stage. When this piece of work came out, it seemed like it was a sort of relic. A new release which mimics the spirit of the old. If you didn't bother to check when this ep came out, you would have thought this release was surely a 1980s forgotten NWOBHM release. Indeed, you wouldn't be wrong. What we're presented here on this extended play is around a quarter of an hour of pure Iron Maiden-worship. The guitarists seem pretty infatuated with some techniques which Iron Maiden made so popular, like galloping and playing single noted riffs at different octaves alternately by different guitarists. The bass lends itself quite well in the overall architecture of the release. It provides a solid backbone to the whole release and its omnipresence really gives this release much more of an interesting edge. The short nature of this extended play really gives this album an advantage of not dragging out, like most power metal releases do. Take for example some Sonata Arctica songs, they drag on and drag on to the point of becoming unbearable for me as mainly a black metal listener. That fact alone can make or break an album, depending on the attention span and dedication of the fanbase. The drums are played in a very basic fashion, the way that was so common with most NWOBHM drummers at that time. However, we have to take into consideration that this extended play came out during the year preceding the new millennium. The vocalist has a very interesting voice. I don't know with whom I can draw any comparisons, although I could if I tried very hard. He has a fairly high-pitched voice, but the gnarly, over-stretched vocals. The voice of Rob Halford comes the closest to emulate the voice of this guy. The pacing of this extended play is pretty standard. Every song maintains a mid-tempo beat, only infrequently bursting in some maniacal riffing. However, that is very wrong, and unsuspectingly, this piece of music also contains a sort of a ballad which is called "The Sun Rises Over The Fjords". I think this is pretty much the most memorable song on this EP, while the rest are fairly forgettable. The nice clean guitar passages add some depth to the whole in your face old-school metal personality this extended play is filled with. This EP has definitely put 3 Inches of Blood on my radar. Although this is not the most technical and sophisticated piece of power metal work out there on the market, it is played with a level of fluency and dedication which is enough to impress me. I recommend any Judas Priest and Iron Maiden fan to check this band out.